Officer Hatchell has been with the Citrus Heights P.D. since 2006. Prior to Citrus Heights Officer Hatchell worked patrol as a FTO and SWAT for 6 years in Delano Ca. 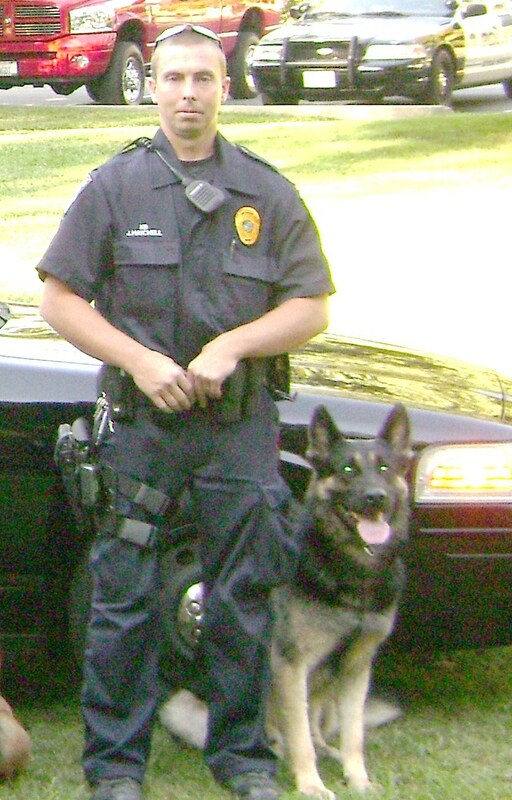 Officer Hatchell and Zeus have been a team since Jan. 2011. Zeus is a 3 year old German Shepherd from the Czech Republic. He is trained in Handler protection, searches,tracking and narcotics detection. Zeus LOVES his job and would work every day, if allowed.